Funny and warm--a period gem! A lovely small play by Priestley, who is well known for his plays puncturing the pretensions of the British upper classes and those aspiring to such status, such as The Inspector Calls. This is a comedy with the same general theme, but it has affection rather than hatred for its subjects. A tale of upper middle class couples from the North of England who suddenly find out they were never married as they thought, 25 years earlier. The play is gentle but funny, and gives a stellar cast of actors a chance to show off the beauty of ensemble acting. The standout is Alan Bennett as "erbert," but Belinda Blethyn and Nicola Paget are also notable. Enjoy! 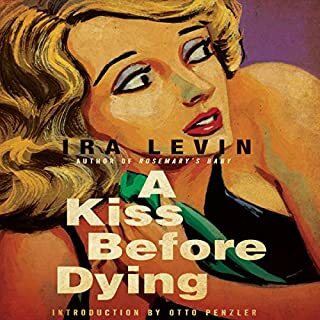 Ira Levin is best known for his horror and thriller tales from the 1960s and '70s, including Rosemary's Baby and the Stepford Wives--both undoubted classics. This book from the 1950s should be far better known that it is, because it is the equal of his later work, but in the more standard genre of mystery. Levin is a magnificent plotter, and I guarantee you will not have foreseen some of the twists he provides here. But beyond that, he manages to make you care about all the characters, good and bad. I cannot provide much detail without giving away some of the surprises, but believe me that for a novel in the mystery/thriller vein, you could not do better than A Kiss Before Dying. In addition, this narrator, who is new to me, does a wonderful job of providing distinctive but not distracting voicing for each character. I hope you enjoy it as much as I did! If you like Philippa Gregory's novels, try this! 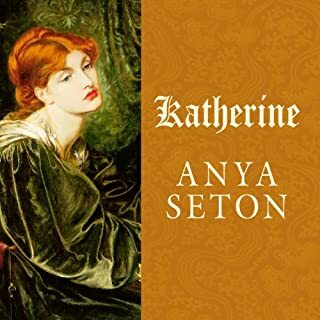 "Katherine," the story of Katherine Swynford, the mistress and eventual wife of John of Gaunt, Duke of Lancaster, is a glorious example of historical fiction. Intrinsically romantic, but firmly based on known history, "Katherine" throws light on a great love story that took place during the fascinating period in English history spanning the reigns of Edward III and Richard II. Ms. Seton is a wonderful writer and provides enough detail to allow you to feel a part of the Middle Ages, including the warmth of the nobles' ermine and glitter of the knights' gold-inlaid armor, as well as the reek of the pigyard just outside the castle keep. Moreover, she does not force her protagonists to voice overtly modern sentiments, which is such a common fault in historical novels written today. I'm willing to bet that some of our greatest new authors, like Philippa Gregory, have a treasured copy of "Katherine" in their bookshelves. Award-winning comedian Sarah Millican is back for a second series playing Sarah, a modern-day agony aunt dishing out real advice for real people. Solving the nation's problems with her Support Group, she wants you to live life to the utmost and she's got tons of ideas of how to help. Together with her team of experts on the heart - local cabbie Terry and self-qualified counsellor Marion - Sarah tackles people's dilemmas head on and has a solution for everything. 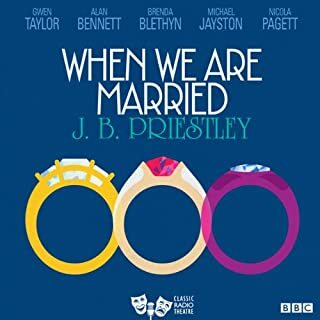 One of the best Britcom audios I've heard in recent years. The "advice panel" radio show format allows three different comics, with very different styles, dialects, and accents to portray "counsellors" and react to the problems of the show guests. Not as raunchy as many British radio programs tend to be, Sarah Millican's Support Group is both funny and fun to listen to. I highly recommend it. This is a story that I thought I knew... conniving American social-climber fools noble-minded British king into leaving his throne. I'm now not sure that's a fair assessment. 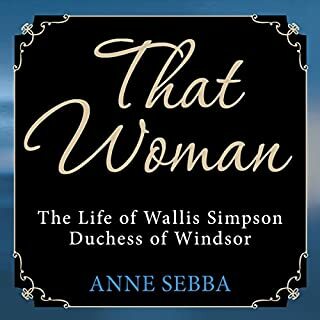 Neither King Edward VIII or Wallis Simpson were going to win a "most-likable" contest, but the book makes a reasonable case that Wallis actually got in over her head, not expecting the king would go so far to keep her. Wallis appears to have been an intelligent and interesting woman, troubled by her own insecurities, who found herself the focus of an obsessive love. The period detail is wonderful and the insights into the various personalities involved in this "greatest love story of the 20th Century" are enlightening. This, plus an excellent job of narration by Samatha Bond makes for a book well worth any listener's time. As a person who grew up well after the events discussed in these three playlets, I found the information in them fascinating and new to me. The acting was excellent, as well. I was a bit puzzled by the "intent" of the author. In terms of tone, it sounded as though the listener is meant to feel sympathy for the persons involved--Hiss, the Rosenbergs, and Oppenheimer--but the facts presented do not lead in that direction. In the case of Hiss and the Rosenbergs, the narrator makes it clear that in recent years the Venona decodings have proven that they were certainly guilty of espionage, Hiss in time of war. That seems to constitute treason, which is worthy of severe penalty--including the death penalty. The Rosenbergs' crime seems even greater--what could be worse than giving atomic secrets to an enemy nation? The actors' declartions suggest that the civil rights of Hiss, the Rosenbergs, and Oppenheimer were violated, but other than citing that the "current of the time" during the "Red Scare" convicted them, rather than the evidence, I did not hear what seemed to me clear instances of violations. To my unfamiliar ears, the contemporary evidence (not Venona) sounded pretty damning, whatever the climate of the times. Oppenheimer was the only one who may have been treated roughly given his "crime," but then his punishment was simply to be removed from a job. How could a reasonable government have left in charge of such a vital defense/security program as atomic weapons a man who not only had had Communist sympathies but, much more importantly, had failed to disclose a security breach known to him personally for at least 6 months? What could the authorities have done--I mean, doesn't that constitute at least reason to doubt Oppenheimer's trustworthiness? Martin Jarvis performs a true tour de force in this work, taking the part of every character in the play (often alternating characters line to line) and making each one a truely unique theatrical creation. If you want to hear great audio acting--this is the one for you! 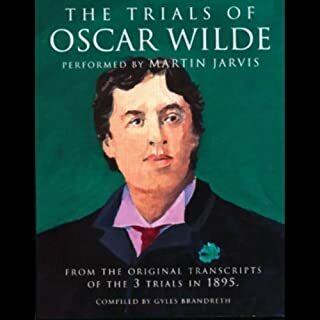 The play is also fascinating, having been taken directly from the records of the famous trials. Witty, engrossing, and deepy tragic, this is a superb audio performance that should please any listener. I can't recommend it too highly! This is a hilarious comedy in which an actor decides to end his career, throw out his résumés and become a furniture maker. 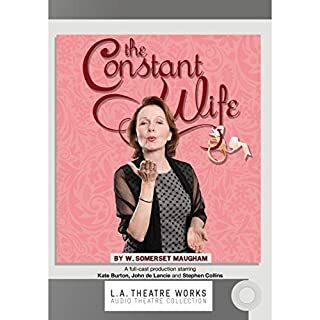 Featuring a full-cast performance with D. W. Moffett, Bruce Norris, Lucy Childs, Christopher Donahue, Kevin Hurley, Amy Morton, Susan Nussbaum, and William Peterson. 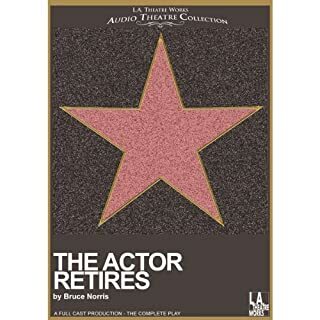 An Actor Retires is great fun for anyone who knows people in the theater. The angst an actor puts himself through is shown in several hilarious vignettes. All the acting in this work is first-rate, and the leading man is superbly funny. My only quibble is that this is really an one-act play, so it goes by very quickly. “Don’t you wonder: why is it necessary to declare me dead again and again?” This is the question posed by Karl Marx in Howard Zinn’s witty and insightful “play on history.” The premise of this one-man performance is that history’s most famous, and oft-misrepresented, radical is resurrected after agitating with the authorities of the afterlife to clear his name. Through a bureaucratic error, however, Marx lands in modern-day Soho, New York, rather than his old stomping grounds in London, to make his case. 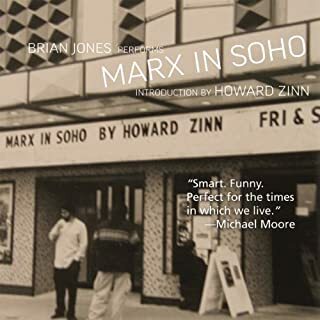 Marx in Soho is a one-man show framed as an apologist talk by Karl Marx, who could not possibly have been so vain, tedious, selfish, loutish, and oblivious as this script makes him. If he were, then one can only say pity poor Mrs. Marx! Given communism’s astonishing evolution since Marx’s death, the idea of the play is a promising one, but in execution it is a theatrical dud--about as dramatic as reading a term paper. There is no action, no character transformation, no wit, and, most disappointing, no organized attempt to defend Marxist theory. If a play’s whole point is to show that Marxism’s failure in Russia was due solely to its being hijacked by a mad thug (Stalin), then the drama is to prove that case. Here, the play fails. In fact, it never even tries. Cuba and China are not mentioned, either to support or rebut the claim. None of the other Soviet leaders are discussed nor are any other Marxist figures or systems of the 20th Century. All the play does is decry capitalism and give examples of the plight of the poor—not exactly demonstrating Marx’s acknowledged powers of reasoning! Lacking conflict, confrontation, or change, the play is dull, dull, dull. Even the live audience musters only the slightest reaction, although I’m sure they were trying to be supportive. Using historical figures to argue a political/social issue can be a brilliant theatrical technique, if done skillfully (see Inherit the Wind or, more recently, Frost/Nixon). But when plays in this vein are done clumsily, they can be very bad indeed. Marx in Soho is such a pretentious clunker. Consider yourself warned.